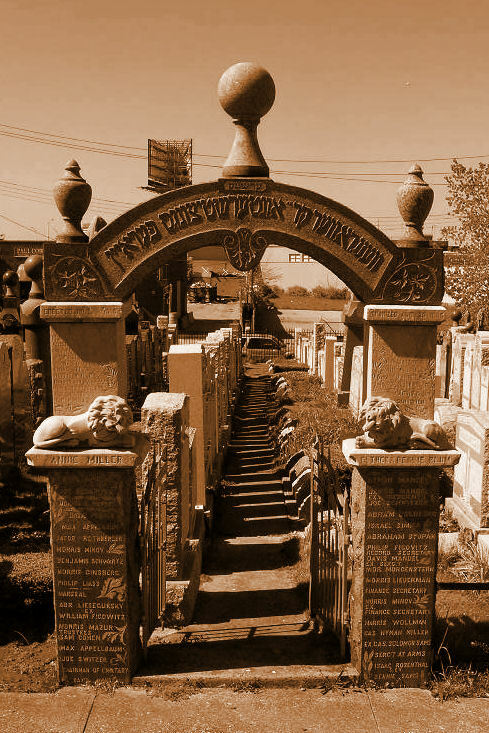 Most society burial plots in the New York-New Jersey metro area have metal gates and posts of stone at their entrances, many of which contain information of genealogical importance. 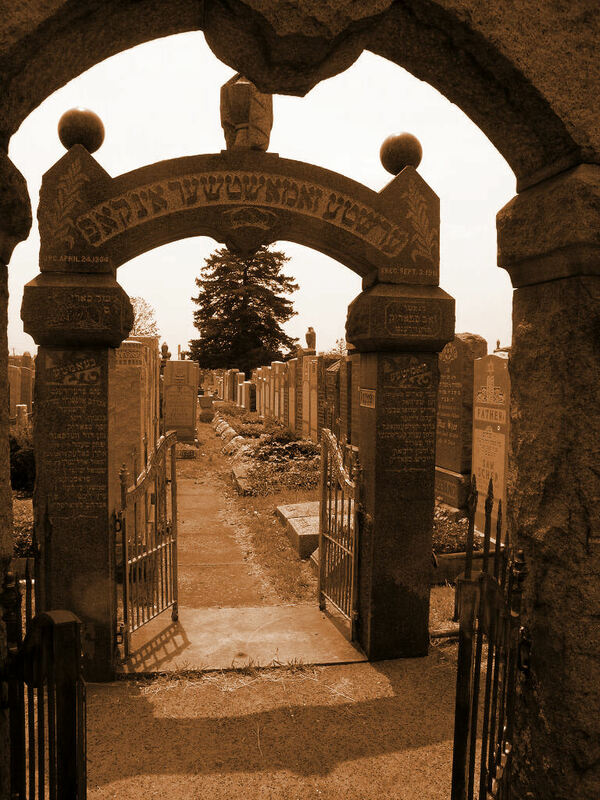 As they are completed, as part of this evolving exhibition, web pages will added here that will display a photograph of each extant gate according to the town or city that the plot is associated with. Information gathered from these gates, such as the names of the officers and the members, will be listed. Perhaps you will find a name within these pages that you are interested in, that might aid you in your research. You should know that many of the names that were once inscribed on some of the gate posts have become too eroded over time and are impossible to read. Other posts have no names inscribed on them, while others need to be revisited and photographed once again so that the names can be read properly and listed correctly. Some society plots don't have a gate. To see an enlarged version of any of the gate photos, just left-click on the thumbnail version. Then if you wish, point the mouse cursor at the bottom right corner of the page and click on the gold arrowed enlargement icon to make the gate image larger.